A lunch and learn program is a fantastic way to create a sense of community in your organization. It's an opportunity to share best practices among employees and foster growth. When done right, it's a great alternative to formal training sessions—and can become a bright spot in the workweek to energize the office. So what's the secret to crafting lunch and learn ideas that work? It sounds like a no-brainer, but can be tough to do: make your lunch and learns engaging and fun. Create a program that won't feel like a time-waster or a chore. Getting your coworkers excited when they walk in the door is the key to keeping them excited to attend future programs. That said, fighting inertia can be tough. Here's how to identify the topics your people will care about, how to market your program, and how to compete for that most precious of resources: time. Nothing can turn a person off like a boring or irrelevant topic. Luckily, you're armed with a secret weapon that'll keep your audience awake and engaged: your ears. Ask your coworkers what they want to learn about in a lunch and learn session before you even put the session together. You can use a free survey tool like Google Forms to gauge the level of interest on your potential ideas, or to get new suggestions that you may not have considered. If you want to keep it more informal, hang around the water cooler, and pitch your ideas. You'll get lots of real-time feedback, and word will spread throughout the office that a lunch and learn program is on the horizon. If you get too far ahead of yourself before surveying the appetite (ahem—we needed at least one food pun in this post) for lunch and learns, it'll be obvious. So collate your findings early, and reexamine them often. Then you can begin to rank your ideas by the level of interest they attract or by how relevant they are to your audience's needs. Once you've done some sleuthing and you have data you think you can act on, start sketching out a schedule. Now's also the time to identify the people who can present on your selected topics. Invite employees to talk about their areas of interest or expertise. At ezCater, we host occasional tech talks led by our engineering team. Start a book club on a topic that's relevant to your company culture or a certain functional area of your company. Exercise activities. Bring in a yoga or Pilates instructor to get people moving midday. Just make sure you plan lunch accordingly. Potluck & Learn. If your office has a fair amount of foodies, invite folks to bring in their favorite dish and discuss it. Mine your internal resources. Your company is unique. Find out what makes it unique. Maybe one of your employees is a trapeze artist and can teach your office to stay balanced—literally and figuratively. You don't know what you'll find at your company until you start investigating. There are a couple of barriers to keeping your lunch and learn attendance rates high. First, people have to know the program exists. Second, people have to know what it's all about. It's not enough to fire off an email with the topic of a session and its location. 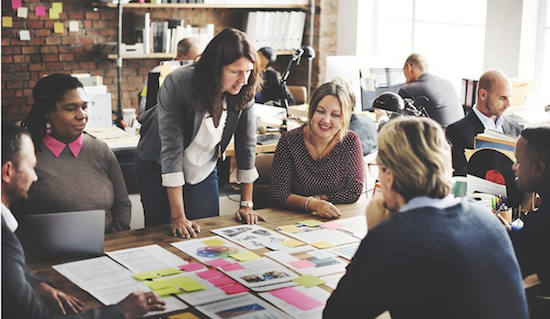 Especially if there's not already a lunch and learn program in place at your company, you need clear communication why employees should come to it. When you inform people about an upcoming session, you should give an overview of the topic, state specifically why they may want to attend, and include a brief overview of what they will learn. Most importantly, communicate tangible takeaways. Think about the actionable tips and tools attendees will get out of the session. Once in a while, you can always incorporate giveaways or bonuses, like movie tickets or a gift certificate to a nearby restaurant. Wander into the giveaway territory carefully, though. You want to incentivize people to show up by presenting interesting content, not by dangling the promise of free stuff. 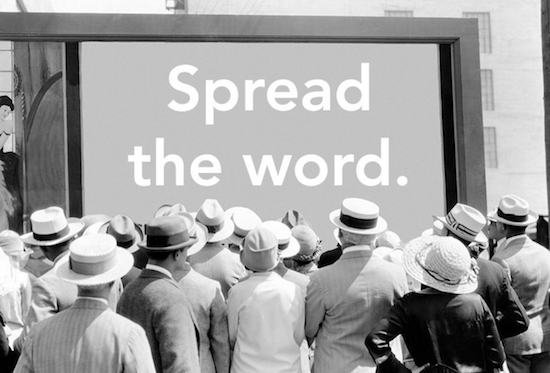 Don't forget that you need to spread the word effectively. Sure, emails work. But, people get so many in a day they may gloss over yours, no matter how interesting it looks. 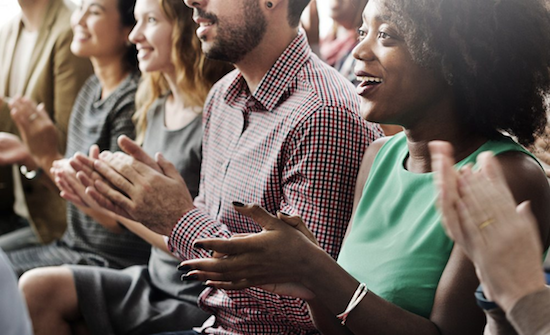 Post the details of your event in areas where staff hang out frequently, or even ask your boss to mention it quickly during team or company meetings. Nothing bores people more than a lecture. Heck, even actual lectures are becoming more and more interactive these days. Keep your audience engaged by using different types of media. Give real-world examples with video or audio. Incorporate opportunities to complete interactive or group activities. For example, invite the larger group to break into smaller groups to test out a new sales strategy, or use fun Internet memes as brain breaks. Don't forget to include any remote employees you have, too. There are a ton of free conference tools you can use to make them part of the action. You can even send food to them so they feel included. Better yet, if they're in the area, invite them into the office for a change of pace. There's no such thing as a magic bullet when it comes to lunch and learns. If you have a routine that's working well, break it a little to keep things interesting. If you've been presenting success stories every session, then switch it up and invite someone to discuss the company's latest technical challenges. Next month, you can bring in someone from the leadership team to talk about company goals and visions. You can even think about changing the venue every once in a while. Instead of holding sessions in the boardroom, take everyone to a nearby park, or go out to a restaurant (provided that's in the budget). Sometimes a change of scenery is all it takes to perk people up. A lunch and learn program can be a quick win that adds a lot to your company culture. If you keep the sessions relevant, interactive and fun, your employees will keep coming back for seconds. And thirds. This article was originally published on ezCater.